The holiday season is here and everyone is making pie! 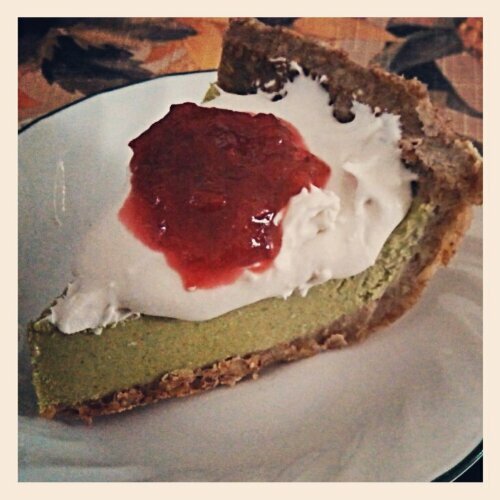 Why not make a healthy pie? One that doesn’t require the oven? Even better! 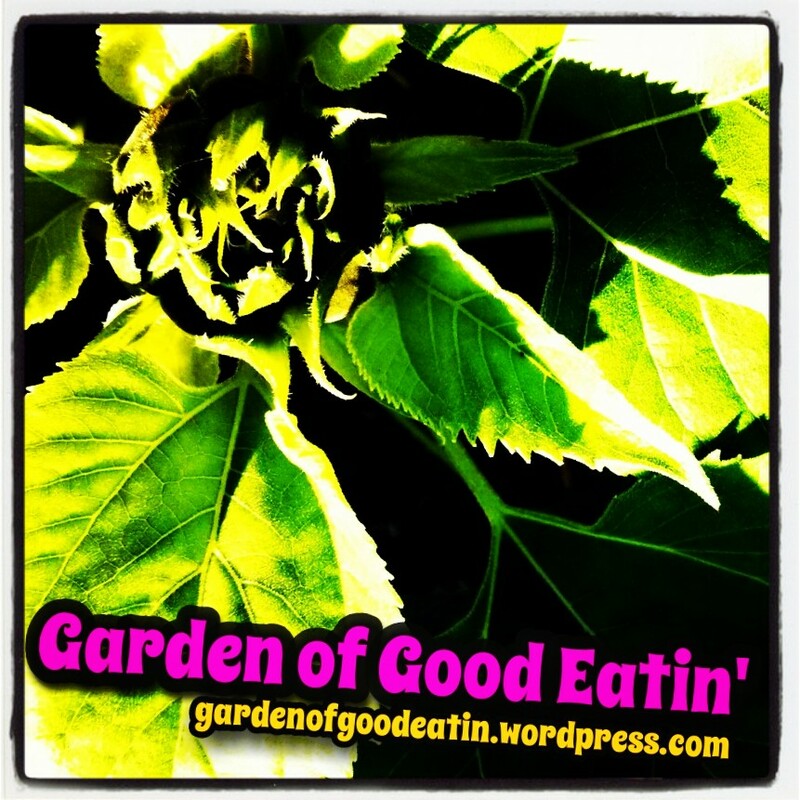 The first time I invented this recipe was for my very first raw potluck I attended in KCMO several years ago. The pie was so good that I didn’t even get a piece of it! 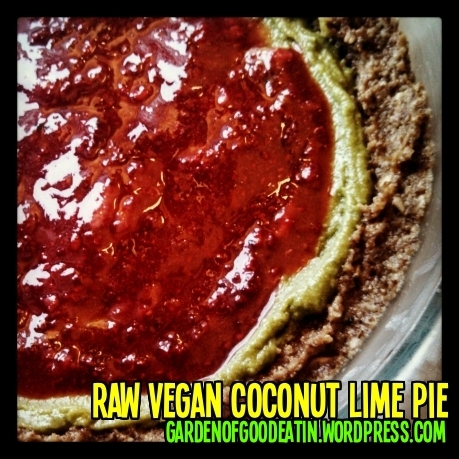 Sure, this pie is full of fat, but raw healthy vegan fats. 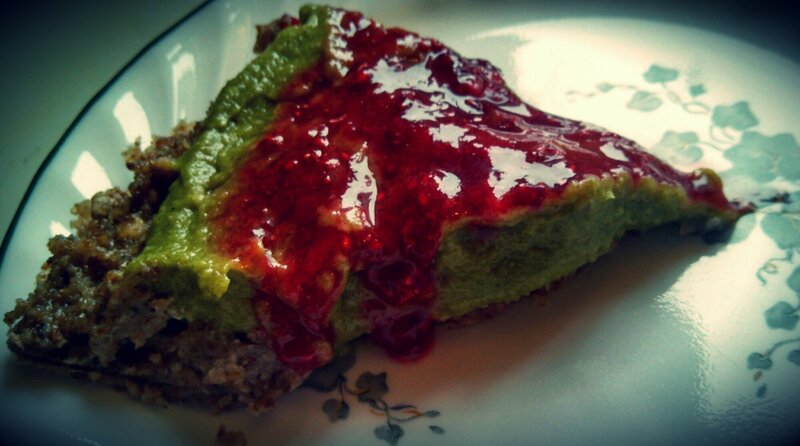 Avocado & Coconut oil together create a wonderful texture for a raw vegan “cheesecake”. At room temperature, the coconut is liquid but once it gets cold, it becomes solid again which makes it a great thickener to the avocado/lime purée. 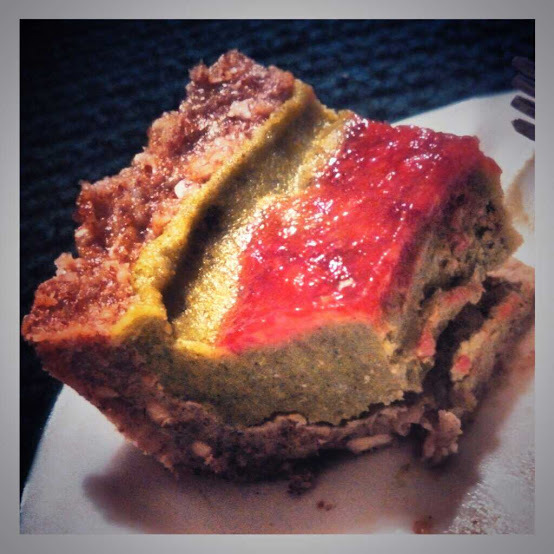 The joys of raw cuisine for me is the vivid colors, I created this pie to be as bright and colorful as my personality. (If you know me, you would attest to that!) I absolutely love the green of the avocado, but adding a green powder such as wheatgrass or spirulina makes it even brighter! 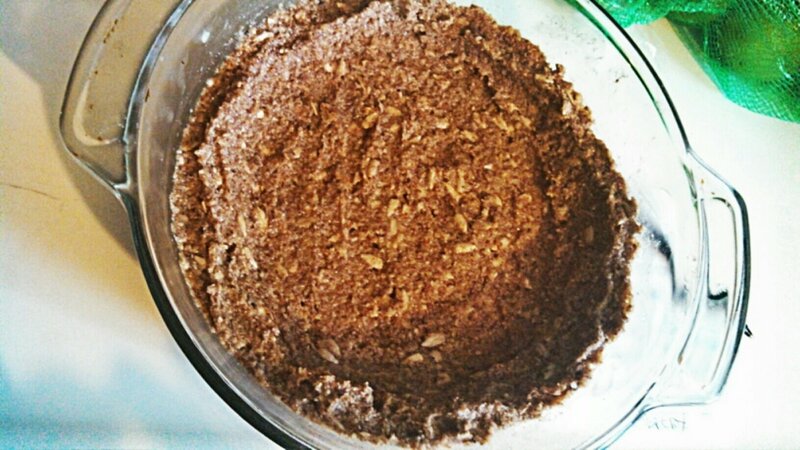 1) Mix the pecan/cashew butter with the sunflower seed pulp, agave nectar, flaxseed meal, melted coconut oil and whole sunflower seeds together. This will form a sticky, moldable paste-like dough. 2) Spread coconut oil in the pie pan to help the pie from sticking to the pan. 3) Press the seed/nut dough into the pie pan. It helps if you have coconut oil on your hands, or if they are a little wet. Place the pie crust in the freezer to solidify for 30 minutes. 4) Roll the limes firmly with your palm on the countertop to help break the juice pods on the inside. Cut in half and squeeze the juice from 4 limes (about 1/3 cup lime juice). Pour the juice into the blender. 5) Cut two avocados in half, lengthwise, around the pit. Scoop out the avocado flesh from the rind and put it in the blender. 6) Liquefy 3 Tbsp coconut oil by placing closed jar in hot water. 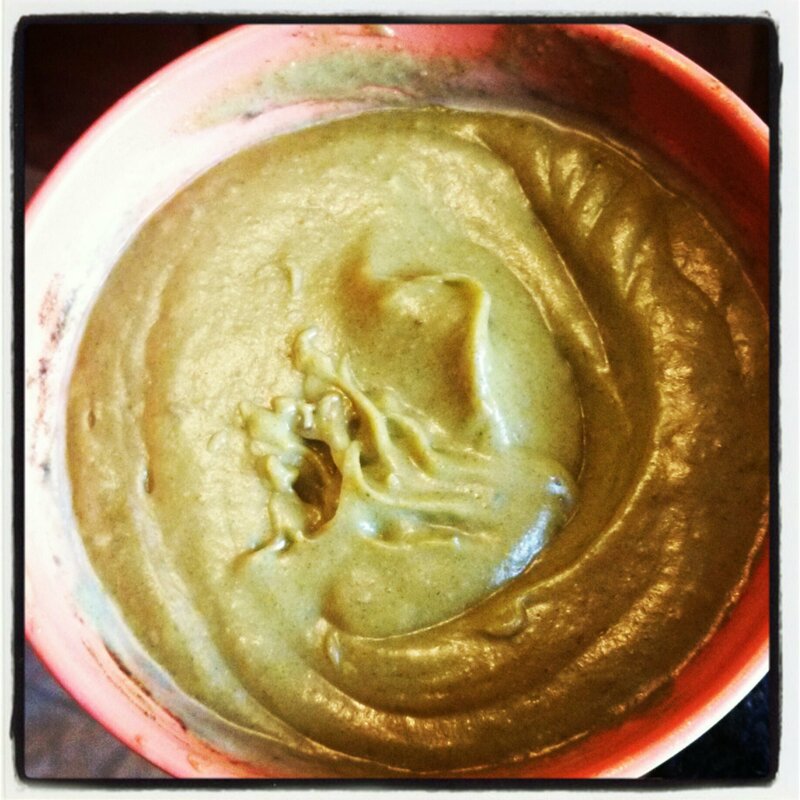 Add the oil to the blender along with 2 tsp wheatgrass (or spirulina) powder and agave nectar. 7) Let blend on medium speed for about 3 minutes, or until the mixture is creamy smooth. Empty the green mixture into a bowl. Add more agave and whip well if it’s not sweet enough for you. Put this in the freezer as well. 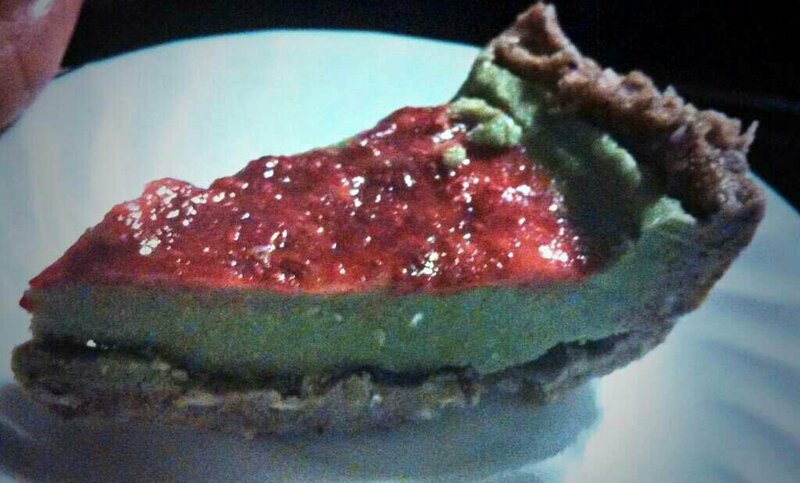 8) After the pie crust has been in freezer for 30 minutes, remove both the crust and avocado-lime filling. 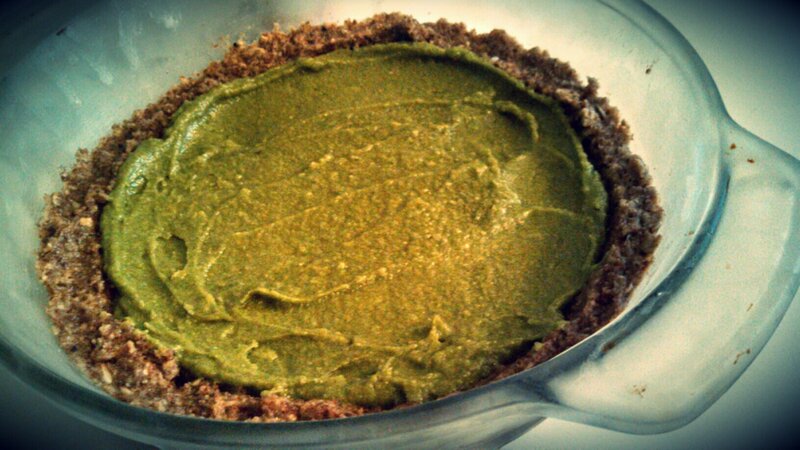 Smooth the filling into the raw pie crust. Put back into the freezer for 10 minutes or while you work on the next step. 9) Mash frozen or fresh berries into a clean bowl with a fork. Add agave nectar to create a sweet berry spread. 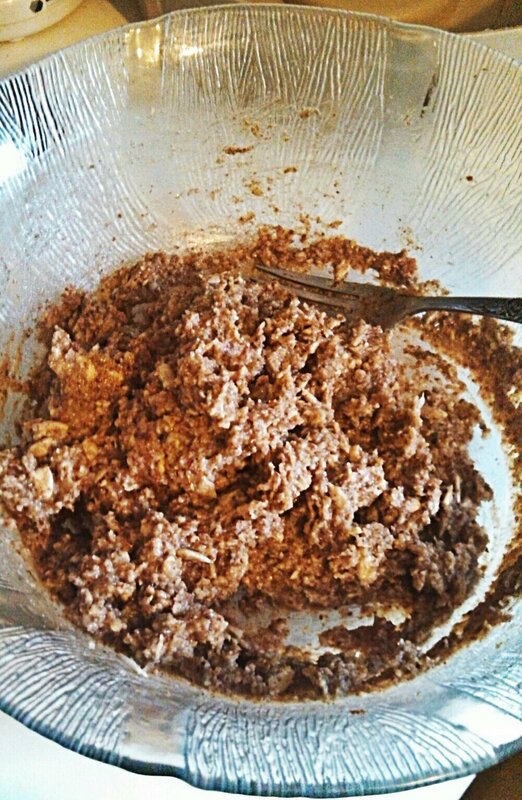 This mixture will be spread onto the top of the pie filling. 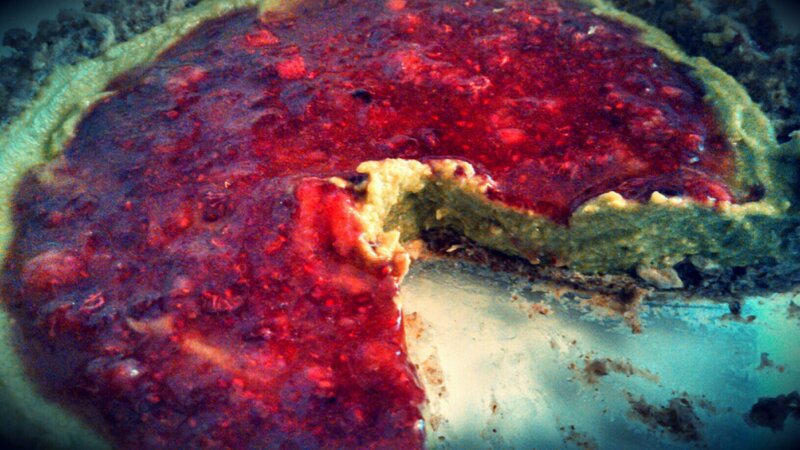 Be sure to let the pie filling to solidify otherwise it may be difficult to spread the berries. 10) Let the pie sit in the freezer for up to 45 minutes to cut and serve. I find it better the longer it freezes. You can also serve sooner than that, but the pie slice will not hold shape very long. Process pecan halves in processor, add agave, pulp and oil. Will make a stick mash. Press into pie pan and freeze like above directions. It is also good topped with Coconut Whipped Cream (I loosely followed this recipe) and to keep with the sweet-tart theme, top with cranberry sauce (not raw, but low glycemic recipe here). I love the pecan crust. Here it is with the whipped cream and cranberry sauce. Be sure to check out my Artisana Review + Ek-Chok Giveaway! Interesting! I’d love to taste it! Off to share this with a friend! lol. i just know to eat 😀 . thanks for sharing a tip. i can be wise when i instruct my better half . ha ha ha. Glad you enjoyed it, Cher! This recipe is a keeper! Definitely one that will impress guests. I bet my mom would really like this. She loves coconut. This looks so delicious! I have to try this. 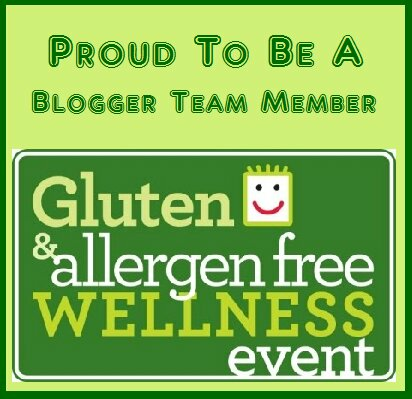 I love that your recipes are gluten free, thank you for sharing this one! Have to make it soon.